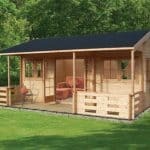 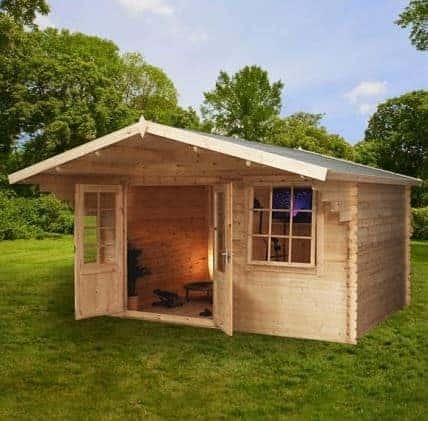 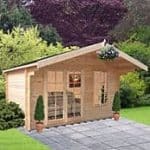 This 4 m x 3m traditional log cabin allows you to have somewhere in your garden where you can relax and unwind, without the pressures of everyday life rearing their ugly heads. 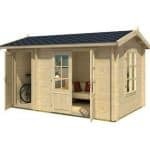 Stylish and contemporary, it comes with glazed windows and the protection of 28 mm tongue and groove cladding. 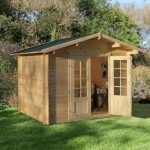 Sturdy and tough, it has been constructed from Baltic pine, which means that you have wood that is slow grown for extra durability. 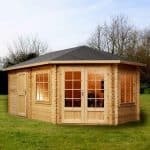 In addition, it is also very hardy against rot, so your building has a lifetime ahead of it. 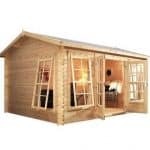 The double doors and the windows make it a light and airy space.